"There are only so many times you can kill Uncle Ben. I love the idea of making a coming-of-age high school movie. We're really going to see Peter Parker in high school and get deeper into that side of it. He's just 15 now." While I am thrilled that they are bringing the character back to high school, where he belongs, I think he is too young. I get it that this is the beginning of his story and yes, the Ultimate Spider-Man comics had Peter Parker at age 15, but I always thought he was too young in those. It may sound trivial, but making him 16 or 17 makes all the difference. 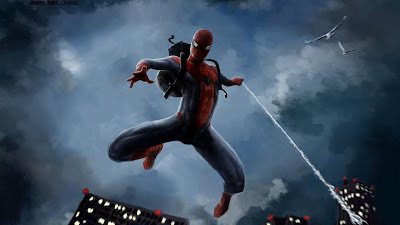 Plus, Feige said that Parker will have been Spider-Man already for a couple years, so if he's 15 now then we're looking at a 12 or 13 year old Spider-Man previously. That is way too young. Now maybe he'll be 15 in Civil War and by the time his stand-alone film comes, the character will be 16. That I can get on board for, because we'll see him at a better age once we truly get Spider-Man. "No, I'm very excited for all the folks at Marvel and what they're going to do with that character. I think he belongs in that universe and there's a real excitement to see what they come up with. Maybe we'll all be on a panel someday, Sam (Raimi), me and whoever directs it (Jon Watts)." Something I have noticed with both Webb and Andrew Garfield, the previous Spider-Man, is that they aren't (publicly, at least) harboring anger or hate over their films being cut short. Both the actor and director have said that they were disappointed with The Amazing Spider-Man 2, and that they didn't accomplish what they wanted to. This was due to a large amount of studio interference, muddling the film and resulting in a piece of trash of a movie. They are both fully endorsing this reboot and are genuinely excited for these new films. And in a way, I do agree with Webb's comment. Spider-Man has always worked in the comics in that he is a stark (no pun intended) contrast to the Avengers or the Fantastic Four. While other heroes were publicly celebrated and renowned, Spider-Man was viewed as a menace. That element of the Spider-Man comics has never been able to fully translate to the big screen, because there haven't been any heroes to compare him to. Webb is definitely right that Spider-Man belongs in this universe, because it opens up so many new doors. "My vision of that movie was a summer annual. So you didn't have to worry about continuity. It was just, 'We take Peter, put him on an adventure, we put him back in his life.' I intentionally wanted a movie that didn't have to worry about mythology and continuity. It was important to me to make a movie that could stand on its own. So the good news is, you know, (laughs), it slots in very well to any plan anybody ever wants. We just need to let a couple years go by, I think." I both agree and disagree with Goddard's statement. I really like the sounds of the film. 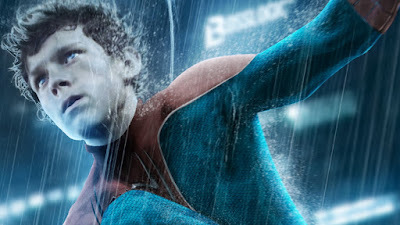 It sounded before like Spider-Man wouldn't even have been in this film, but Goddard has now confirmed that it would very much be a Spider-Man movie. That makes me feel better, because I never saw how you could have a Sinister Six film without Spider-Man. So this makes more sense to me now. Goddard was pretty much just planning a stand-alone Spider-Man movie with the Sinister Six as the villains. But here's where things get tricky. Goddard is saying that he really wanted it to be its own, stand-alone movie free of continuity. With the Marvel, everything connects to the larger universe. There is no being free of continuity-- it all ties in and connects. So either Goddard would have to lose that mentality, or this movie won't be shown in the MCU, which won't happen for a long time. My theory is that a screenwriter may take certain ideas and elements of Goddard's script to make, say a Spider-Man 2 rather than a Sinister Six stand-alone. 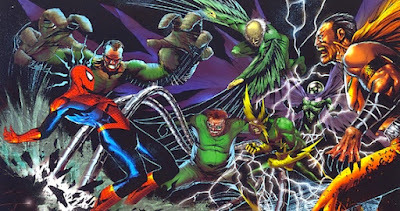 Nonetheless, I really want to see some of Goddard's Sinister Six ideas on the big screen. What do you think? Is 15 too young for Spider-Man? 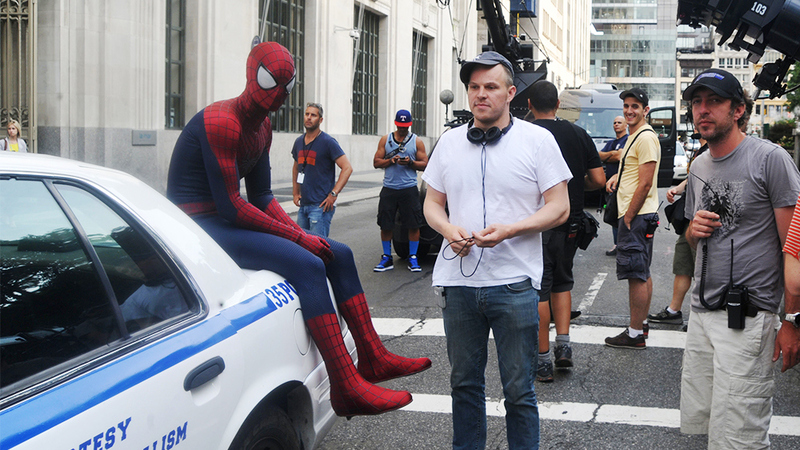 What do you think about Marc Webb's comments? 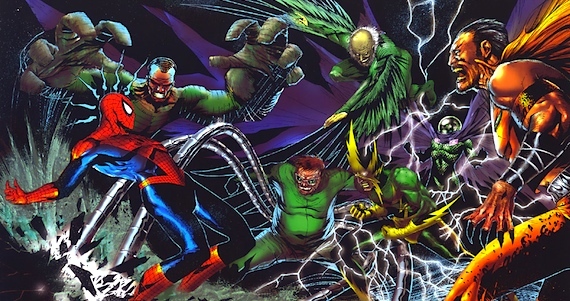 Is Drew Goddar's Sinister Six ever going to come to the big screen? Leave your thoughts in the comments section below.